Description: A positive contempory christian cd with driving guitars,meaningful ballads that borrows influences from the past and present. Biography: Selected Biography- Sean started playing guitar and taking lessons at age 9. He then studied music at Humber College and the Royal Conservatory of Music. At age 17 he joined Rush tribute band, "Void" and played in the Greater Toronto 'A' circuit, opening up for classic rock legend, Nazareth . In 1989-1995 toured the United States and Canada with Virgin Recording Artist, Paul London. Also in 1994 he records and toured with Indie-alternative recording artist, 'The Ruins'. Sean's style is combination of his early guitar heroes Alex Lifeson, David Gilmour and Andy Summers, a style with a warm tone mixed with bluesy melodic riffs and tasteful effects. 1997-2001 he joined and recorded with Christian recording artist 'Kat'. Sean played sessions on: When I Worship, For Every Star, First Fruits volumes 1 and 2. He also played many different concerts to support this material including 2001 March For Jesus and Wisdom Conference with Mike Murdock. 2001 saw Sean doing guitar session work 'Cool Jerk' for Columbia recording artist, Platinum Blonde/Chris Steffler who broke all musical boundries for all Canadian musicians in the early 80's. By 2002 Sean had recorded and released his own solo instrumental album, 'Textures'. In 2004 Sean was invited to go to Gouda , Holland in Europe to record with Indie Recording Artist where his playing is unprecedented and he is dubbed "The Canadian Yngwie Malmsteem". In the year 2006 Sean records Reflections of You a solo effort comprising of easy listening/romantic pieces is released Dec 1 2006 and has had great feedback and reviews as well as 4 maja nominations. The rest of 2007 saw the release of Here I Go with Johnny Juarez followed by television performances and opening for Jars of Clay and Avalon at Freedom Fest.Sean also did various session work with Jim Drakopoulos providing the punch to the award winning New Every Morning and the sensational follow up Run The Race. 2008 will see another CD with friend Jim Drakopoulos-Comfort and Strength as well as a solo release "New Season" featuring Laura Lee Cascagnette.The single from the new CD called "My Creator" has been getting airplay across Canada, U.S.A,Europe,Australia and South Africa. Sean has also been given an artist endorsement from Gibson guitars,Hughes and Kettner amps,Fishman and Digitech multi-effects which has helped shape and evolve his style and tone.Sean recently won the 2008 Maja award for best duo with partner Johnny Juarez.2009 will be a year of new beginnings as Sean's instrumental music is being featured on the weather network in the U.S.A. Sean is truly one of the most gifted guitar players of our time. In addition, he has devoted himself to using his musical talents in ways that help those less fortunate and advance the Gospel of Jesus Christ. Sean Spicer recently worked with Latin singer Johnny Juarez on their Here I Go CD, and he is the rare guitar-playing songwriter who excels in multiple genres. Hailing from Toronto, Ontario, Canada, the world's most multi-cultural city, Spicer, who is endorsed by Gibson guitars and Digitech multi-effects, is a product of his environment, with the unique ability to create very different sounding songs, from reggae to rock to dancefloor jams, along with breezy pop songs young people would especially enjoy. Spicer's strong suit is when he's working with a particular artist and can help them make music that specifically fits their voice and style. 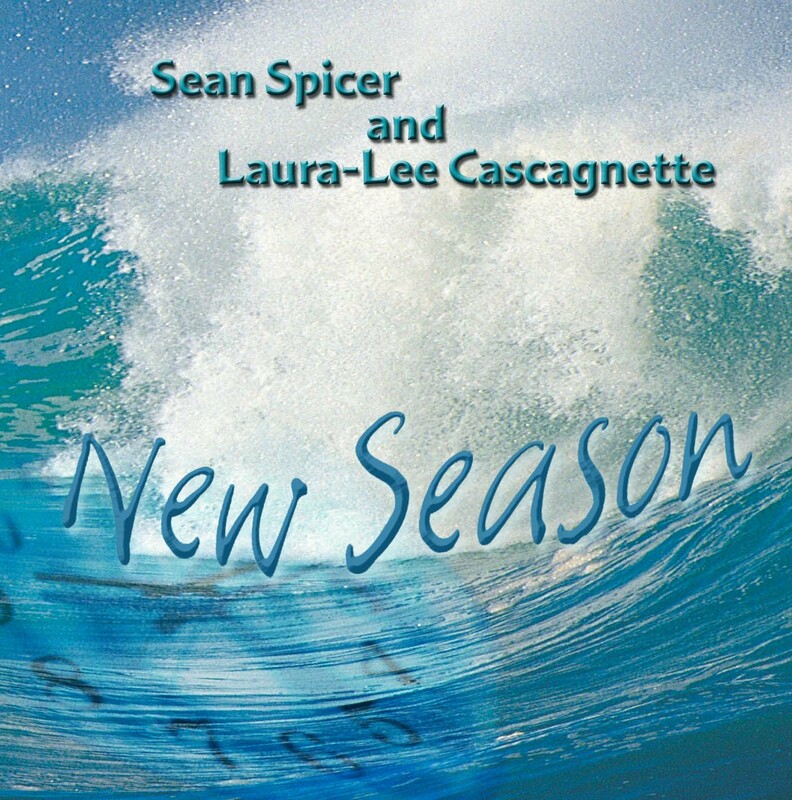 On New Season, Spicer's new CD produced by Rawle Alcide (who also serves as lyricist), the very capable vocalist Laura-Lee Cascagnette is featured on a collection of songs that will appeal to young Christian girls who love Jesus and also happen to be fans of Miley Cyrus, aka “Hannah Montana.” Older Christian music fans who remember Tiffany and Debbie Gibson from the 1980s will want to pick up New Season for its pop-rock sound that's easy on the ears. Already several songs from the CD, including “My Creator” and “I Can Do Anything,” have become chart hits, especially popular in Western Canada. New Season's stand-out track, “One and Only,” which actually mentions Jesus in the lyrics-- in a positive way without being trite-- is the rare Christian dancejam that would appeal to secular or Christian kids in a club. Because Spicer knows how to “redeem the beats,” he gives his singer, Laura-Lee, a worthy, layered beat to sing to, and she tears it up, vocally. “One and Only” is the freshest song on the CD, the kind that could seriously become a hit on the charts in the months to come, whereas the other songs, like “Joanna” and “Shout” have instrumentation and beats sounding as if they're straight out of 1980s teen flicks.